The Happy Workaholic Podcast was once a show about Business, LinkedIn and Life with an Autoimmune Disease. And then one day Kelly found out she was misdiagnosed. So, she had to switch things up a bit! Life is short and when you’re given a second chance you better believe Kelly is going to take it, celebrate and share it with you! Kelly is on a mission to help women take their business and life to that next level they deserve to be at. The UPGRADED version of the show is intended to elevate your mind, upgrade your business, enhance your life and become a part of a positive and uplifting community. New shows are available every Monday, Wednesday and Friday, each with a different focus. On Monday you can tune in to learn about personal development, mental health, life hacks and more. The I Chose This Life Series which features other Female Entrepreneurs airs every Wednesday. Looking for business, networking and podcasting tips? Those episodes are available on Friday. Kelly is here to remind you to work hard, stay humble, follow your dreams and never ever give up. To learn more about The Happy Workaholic Network, Business Coaching Programs and her Community have a look around the site. Are you ready to become more in business and in life? The Happy Workaholic Network Facebook Group is a happy, healthy, positive and productive community for women who WANT IT and DESERVE it all! Business, Podcasting, Mindset, Meditation, Quotes, Meal Prepping, Organization and more! Join The Happy Workaholic Network Facebook Group here! For all the behind the scenes work be sure to follow Kelly on Instagram and Facebook @thehappyworkaholic. Are you a brand looking to get in front of a whole new audience of other business owners, customers, clients, influencers and entrepreneurs? Sponsoring an episode is perfect for someone with a new program, product, app, website, brand, service or just for someone wanting to get their message heard. That is why The Happy Workaholic Podcast exists in the first place! 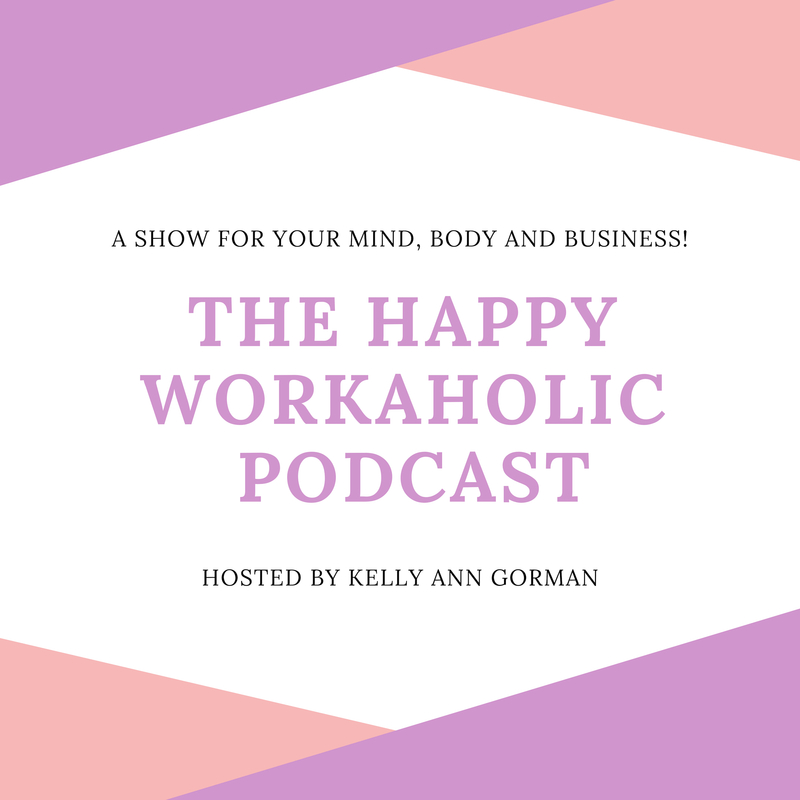 The Happy Workaholic Podcast is currently available on Apple Podcasts, iHeartRADIO, Android, Email, Google Podcasts, Stitcher, TuneIn, Spotify, RSS and More. The show has a global audience and is currently heard in over fifty countries. The top six being the United States, Japan, Germany, France, Canada and the United Kingdom. This means that you can get your brand in front of a whole new audience. One that is worldwide and one that literally listens! Want to learn more about taking your brand to the next level with strategic advertising methods and social media automation set in place?